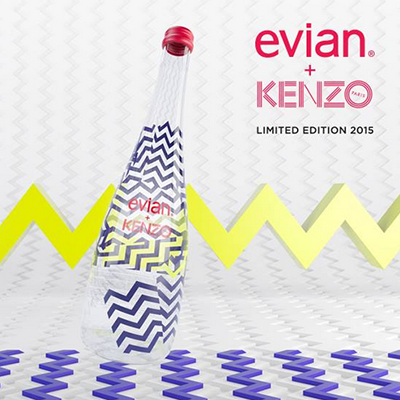 French fashion label Kenzo is teaming up with French mineral water brand Evian for a limited-edition bottle. The partnership reflects the inspiration behind Kenzo’s Fall/Winter 2014 collection. Kenzo is not Evian’s first partnership with high end labels. They have worked with Elie Saab, Courrèges, Paul Smith, Issey Miyake, Jean Paul Gaultier and Christian Lacroix. 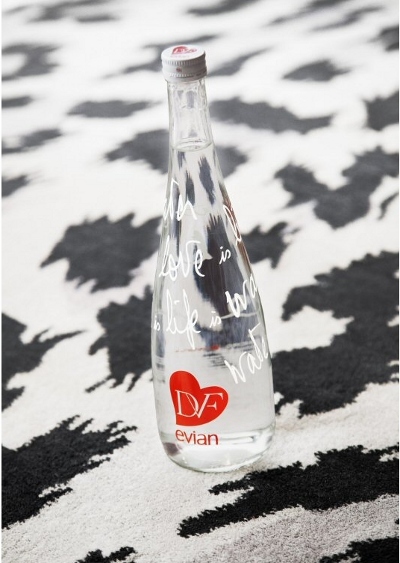 In 2012, Evian partnered with Diane von Furstenberg to create limited-edition bottles that feature the designer’s logo and a handwritten saying. Each bottle retailed at $7.99. The brand hasn’t released where and when the limited edition bottle will be available to purchase.